I can't even begin to pick which ones I like the most, I want them ALL!! Maybe I should just go with the entire collection? Which box did you choose? Did you add on anything? 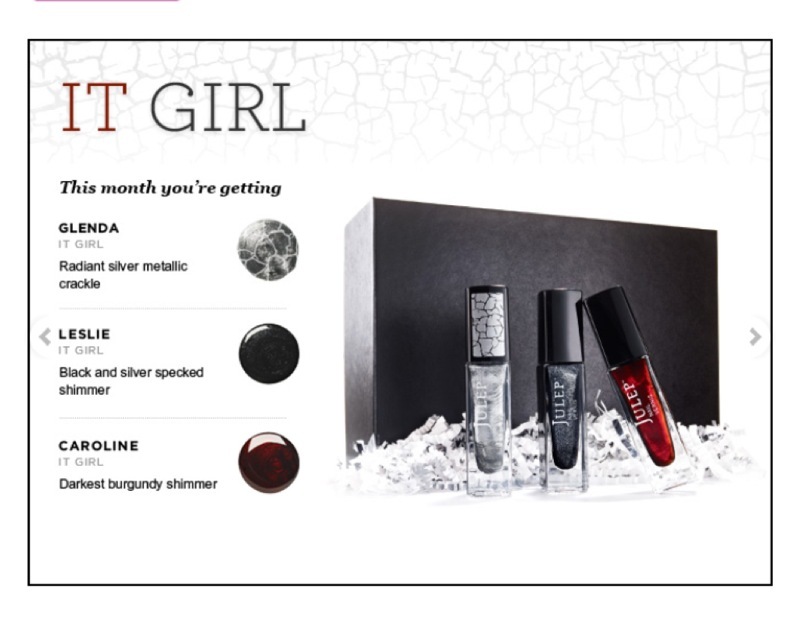 And did you see if you go to Add On, there's a glow in the dark polish that's not in any of the boxes! 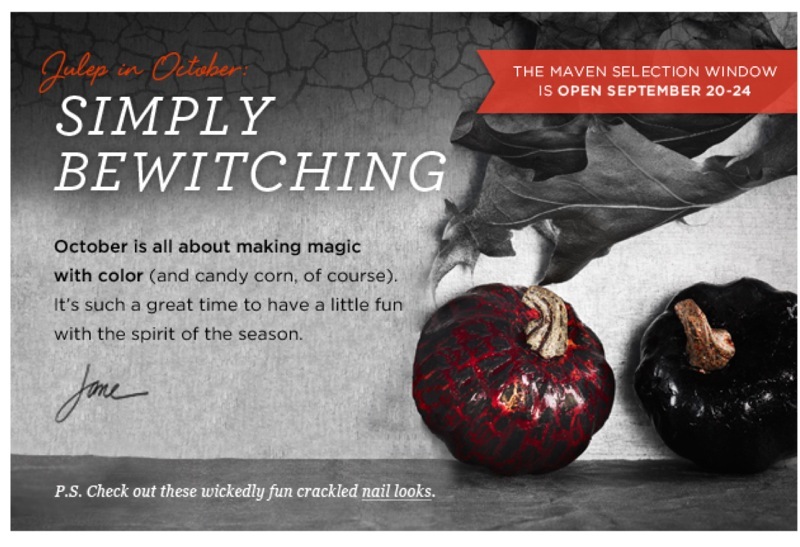 Are you a Julep Maven yet? 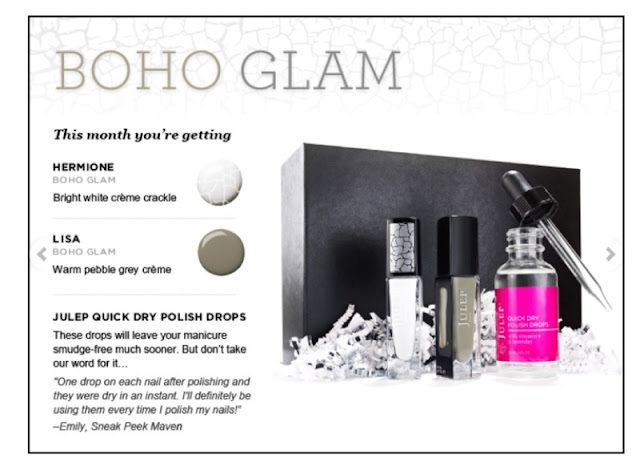 I'd say there's no better month to join- these polishes are gorgeous! It's making me love Crackle all over again! Join here for a PENNY! Use code: PENNYINTRO. I'm usually a "Classic with a Twist" but for this month I switched to Bombshell and added on Hermione. I love the option to choose whichever box you like best! There's been a lot of negative feedback about this month's colors on the Julep Facebook page so far (mostly about crackle not being a "new" trend) but I really like the colors this month! I had a hard time decided my favorite too! But I went with the Bombshell, and since I'm still "new" (this will be my second box), I got to add on Sabrina for free! Yay! 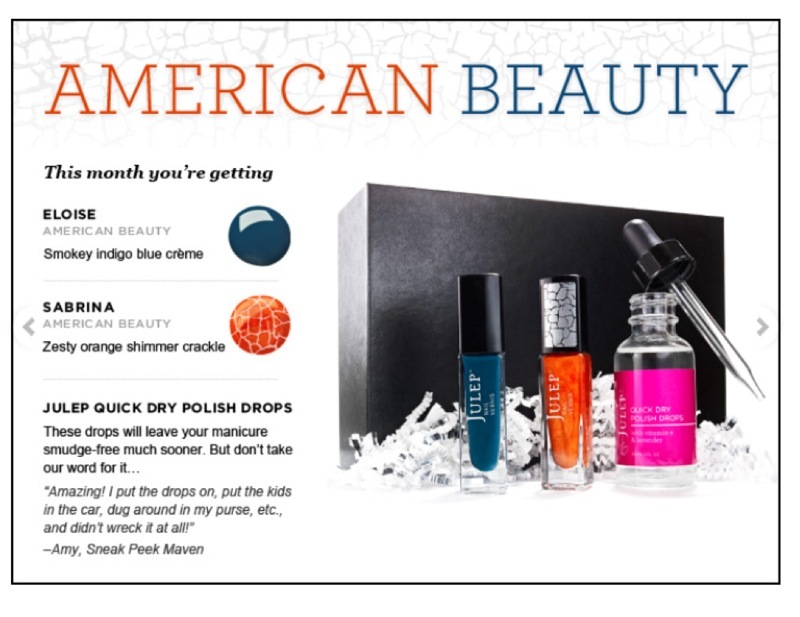 I'm excited to try them out, and I'm especially interested in the quick dry polish drops! I hope those are as miraculous as they claim they are. I just signed up a week ago with Bombshell and I'm loving their October polishes but yeah, I could totally take the other ones too. haha They're all so pretty!! I have a free add on too but can't decide between Eloise or Lisa. agh! I was definitely excited with the new release. I picked the Bombshell this month, and while crackle isnt a "new" trend, I really dig it, and with that blood red underneath? Exciting! I was SO torn. I usually get American Beauty but I switched to Boho Glam this month. Mostly b/c I wanted a white crackle! They were all awesome though...I though about getting them all too! I had a free add on and I got Kate - the white pearl - only because I really need a basic white. I am tempted to get the glow in the dark one, though. I ordered the It Girl (but loved Classic with a Twist and American Beauty a lot too...) and added on the glow in the dark! How can you NOT!?!??!!? Can't wait to see what you choose and what you do with it!